Home MTAANI NEWS Thika reacts after repeat poll case fail to take off. Thika reacts after repeat poll case fail to take off. Majority of Thika residents have welcomed the Supreme Court's decision to postpone its decision to stop tomorrow’s presidential repeats due to a quorum hitch. Tension was high in the morning before the three cases whose outcome could have stopped the vote tomorrow were pending decisions in three different courts, including the highest court in the land. This tension had been precipitated by memories of the September 1 SCOK ruling that nullified the presidential results then. As the uncertainty continued to loom over the October 26 poll, People could be seen analysing various possibilities for the outcomes. But one thing was certain, none was confident to say that Chief Justice David Maraga would throw away the cases. Things became ‘elephant’ after Justice George Odunga ruled that appointment of Returning Officers and their deputies was illegal, dealing a ‘major blow’ to the Independent Electoral and Boundaries Commission (IEBC). This was interpreted to mean that there would be no elections tomorrow. “These courts have been bribed to always rule in favour of NASA. And by the way, what else do you expect from Justice Odunga?” asked Shadrack Murage, a food vendor. The Supreme Court on the other hand, was expected to deliver a verdict on the latest petition lodged on Tuesday by three voters which to give clarity to the fate of October 26 repeat poll date. This was the real bombshell that the residents dreaded most. 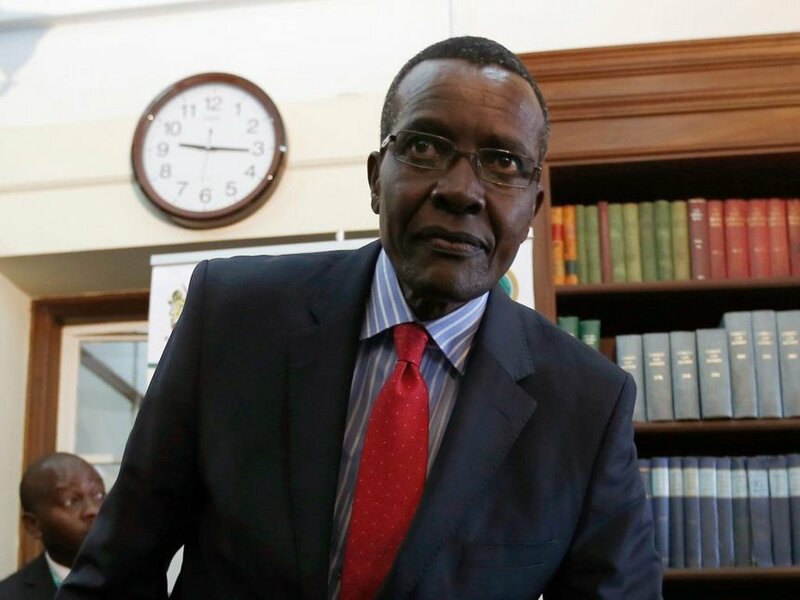 However, people celebrated the decision by Justice Maraga to defer his case due to lack of quorum with some saying that express his excitement, claiming that the evil schemes to deny Kenyans the right to vote had failed and that the country will decide and move forward. “We welcome the decision by the court. The demands made by the NASA leaders are unreasonable. These court battles have adversely affected every aspect of life in Kenya,” said Njoki Mwangi, a resident of Section 2 Estate. Majority of those we spoke to believed that the judiciary as well as the fundamental rights of citizens have been grossly been abused to a point that Kenyans may soon start disregarding the courts at will. “These courts have become too much! The decisions from our courts have ended up being a mockery to natural justice,” said an angry Njoki. Nonetheless, the latest developments have ignited the sparks and the urge to vote in tomorrow’s poll. Those we spoke to vowed to report early tomorrow so as to ‘solve this puzzle’ once and for all. Meanwhile, Thika Town MP has made arrangements to have those unable to reach the polling stations, get transported so as to ensure that all potential voters cast their votes. He has set up call centre that will cater all cases in the ward level. Thika’s Uhuru tally improves despite hiccups. No Mashujaa Day celebrations in Thika this Year. Thika Hindus Begin Diwali Celebrations. President Uhuru's final full campaign programme. Kiambu County sued for ‘invading’ sh. 100m land. Man, 50 sets self ablaze over domestic dispute. An open letter to Kenya Mpya Ltd. If Kenya burns, we will blame the media.